TAKE5 gives you an update on the latest Meetings, Incentives and Business Travel related news. It contains short and to the point information on venues, people, happenings, lifestyle and general news that cannot wait to be told! BBT Online guarantees you 15 new ideas in just 3 minutes. Enjoy our 52nd edition. All of our take5 articles are advertorial free. That is one big pool, isn’t it? 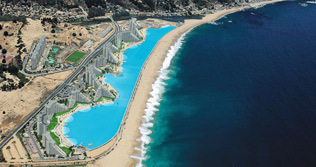 The Crystal Lagoon, located at the San Alfonso del Mar resort in Algarrobo, Chile, is the world's largest outdoor pool, stretching for more than half a mile and filled with 66 million gallons of water. We wonder how many continuous lanes we’d be able to swim in there without drowning. Werf 221 is a historical venue in the rustic part of the Oudegracht in Utrecht. It is located directly on the waterfront, and can be entered from there. It offers a lot of possibilities for meetings, workshops or meditation sessions in a unique and intimate atmosphere. Furthermore: it’s not expensive at all! a 2-day trip to Dutch Limburg! The Outsider Coast proudly presents its new beach club in Westende. The new venue offers all facilities you need to make your event or teambuilding session a success. All sorts of water sports are available, you can race on the beach in your sailing buggy, or you can just relax next to a seaside BBQ. 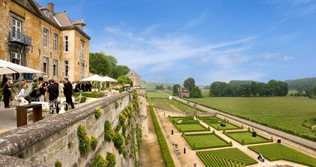 BBT Online partners up with Camille Oostwegel Chateau Hotels & Restaurants to invite you to an interesting and surprising famtrip for Meeting and Event planners through Dutch Limburg! On 12-13 July, we’ll discover the region and its best venues during a 2-day trip including tasting sessions, a falconer workshop, quality dinners and of course guided tours through the most interesting facilities. The contribution fee is € 99. For more info, contact us on info@bbtonline.eu. Serving hard time, hard delicious time that is! BBT Online’s Champagne-Chocolate Showdown in cooperation with Alex & Alex proved to be a success. Four fully booked sessions were organized last May. Beside the bubbles the evening provided an excellent professional networking opportunity for everyone. The attendees (MICE planners and – unfortunately – a limited number of suppliers. Where were the suppliers?) 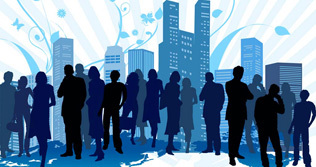 were especially enthusiastic about being able to interact with their peers across the industry. Isn’t it ironic? While some hotels try their best not to look like the filthy third world jail-blocks everyone thinks they secretly are, this hotel in Roermond (the Netherlands) actually was a prison but looks absolutely stunning now. If you want to sleep, dine or have an event in a truly unique atmosphere, check out the Arresthuis www.hetarresthuis.nl. 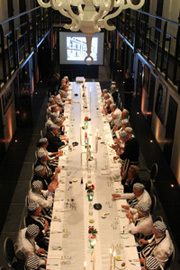 You can even have a big dinner party with all the participants dressed as prisoners in one of the cellblock hallways. “Thanks for including this EXCELLENT hot piece! It seems everyone avoids talking about it and for agencies it is vital! I have circulated it among our community in Croatia as the situation is exactly the same here. Even worse, we have hotels avoiding PCO’s when dealing with conferences. Also in Croatia, agencies (DMC’s, PCO’s) need a license while others do not. Meetopolis: peer to peer meeting, education and inspiration annual forum! Association & Corporate planners often work in isolation and rarely have the opportunity to share experiences with their peers. That’s why Meetopolis, organized on Tuesday, 16 October at the Square Brussels Meeting Centre, is so important. As a cross-industry training and inspiration platform for corporate and association planners, it is a place to share knowledge and ideas with your colleagues in the industry, without any competition whatsoever. It’s a creative forum where you engage in interactive discussions on the application of the provided topics and themes, and what they mean to you in your day-to-day work. You can discover new ways to work and find fresh and creative ideas for your meetings & events while you expand your contacts with others in the business. 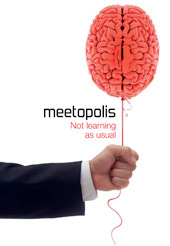 So please visit www.meetopolis.eu to view the pre-programme 2012 and benefit from the Early Bird rate for registration before June 29! 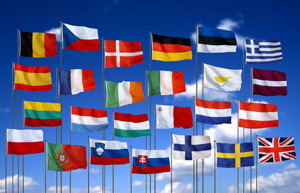 The European Travel Commission (ETC) just published its first quarterly report on European tourism in 2012. Travel was resilient in the early part of 2012. 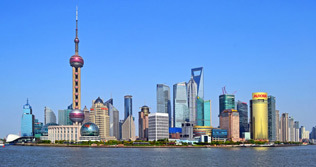 Most destinations experienced growth in foreign visits through the first two months of the year. European airlines reported a 5% passenger growth. There are signs of mixed performance though. Central and Eastern Europe are doing very well, but quite a number of Western European destinations posted declines in hotel occupancy. A slowdown in hotel occupancy rates is evident in most European sub-regions. Russia remains a star performer in the early stages of the year. The US market keeps struggling, while Japan continues its resurgence. Download the full report via the Market Intelligence section of www.etc-corporate.org. The periodic polling of international trade association Meeting Professionals International (MPI) – among planners and suppliers worldwide – shows the trends in the meeting industry in terms of achievements and forecasted trends. The latest poll - April 2012 - shows the weakness of the Eurozone is leaving traces. As a result, planners actively seek ways to control costs, start partnerships and to adapt to changing circumstances. In the US, the higher fuel costs are brutal to organizers which is leading to an increased interest in virtual and hybrid alternatives to live events. 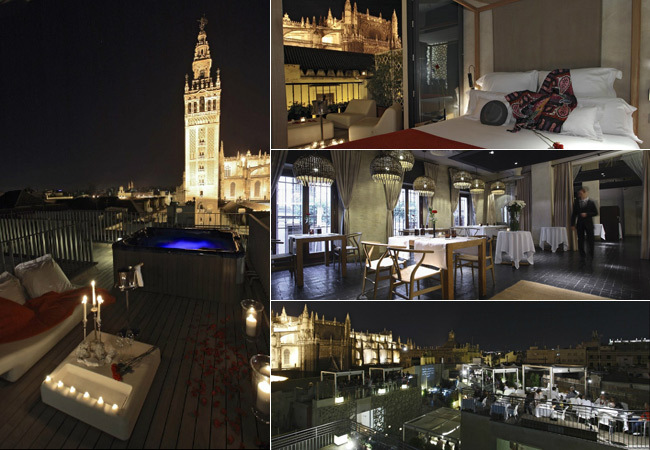 The Eme Cathedral Hotel can be found in the historical centre of Seville in the Santa Cruz neighborhood. It’s right in front of the Cathedral and the Giralda, a couple of minutes from the shopping area. Fourteen typical Sevillian 16th century houses were restored into an urban resort with 60 rooms and an excellent gastronomic restaurant, cocktail bars, a wellness spa, an outdoor swimming pool and outstanding panoramic terraces. Check out the exceptional Roof Club as well, for those looking to enjoy a sparkling evening. BBT Online went to Ibiza this May, to attend the 1st edition of MeetIbz and thought it was wonderful. Even the most experienced incentive organizer of our international group was impressed and had to admit Ibiza is so much more than only a party island. It has many exclusive venues, it’s close by, the smell of pine trees is everywhere, there are several turquoise bays to be found and it has the most amazing seafood restaurants. 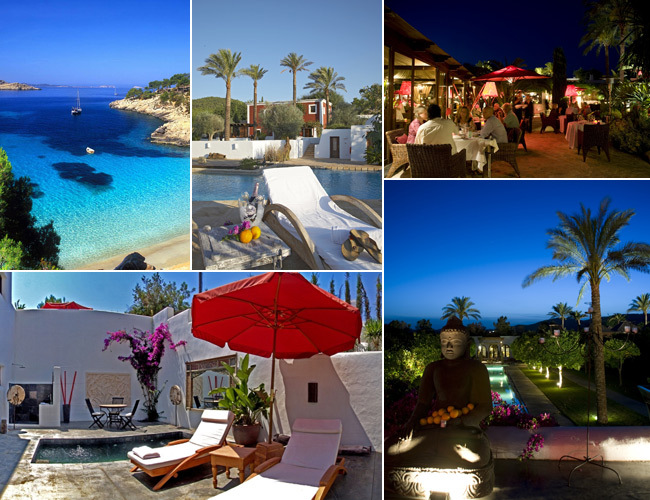 The Belgian delegation stayed in Aguas de Ibiza in Santa Eularai des Riu for two days, located right next to the Palais de Congres and the beach. The hotel is a member of Design Hotels. The other 2 days we stayed at the Pacha hotel in Ibiza city. Both were splendid, the obviously well decorated rooms where very spacious and the staff who was especially friendly and helpful. However one of the most impressive venues we saw was Atzaro, a rural hotel inland. This 10 hectare(!) estate with a limited number of rooms – housed in a centuries old complex – has a restaurant, a lounge bar, art exhibitions and a boutique. It’s absolutely perfect for big product launches and it feels like a mixture between Bali and Ibiza. 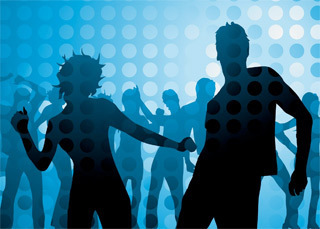 Check out: www.atzaro.com. The pictures don’t really do it justice, you cannot feel the magic digitally unfortunately. Normally they tend to look better than the real thing, but here it’s the other way around. We would like to present two other venues as well. They’re maybe a bit less trendy and more peaceful, but both are extraordinarily pretty. Not at all corresponding with the island’s usual image. Hotel Sa Talaia: www.hotelsatalaia.com and Hotel Con Ecanto www.canlluc.com. For more information on Ibiza as MICE destination contact Jonathan Gomez, Director of the Ibiza Convention Bureau, j.gomez@ibizaconventionbureau.com. The only thing that which still has to be improved are the flights to Ibiza, unless you charter a plane for your group of course. Everything else gets ten out of ten from us! BBT Online’s Jonathan Ramael hopped on a plane last April to Shanghai to attend IT&CM China – the country’s biggest MICE event. Apart from a brand new venue, the sixth edition of this event presented a lot of novelties, while the ever changing city itself revealed some impressive new sights as well. Click here to read more, a destination report. BBT Online visited Belfast together with 6 Belgian Incentive Agents. Europe’s youngest city boasts a lot of exciting venues and things to do. This year, the city bathes in a special atmosphere. Exactly a century ago, this is where they built the Titanic. A date this city is not going to let slip by unnoticed. Click here for a full report on this Famtrip. Thanks to Christophe Verstraete from euromic – events and destination management partnership – a selected group of hosted buyers from Belgium and France recently had the opportunity to attend AIME 2012 in Melbourne, Australia. After the fair the group was ready for a post tour to New Zealand. Eric Moris, Managing Director of Business Pass Travel & Incentive Company reports. Just reading his article and a look at the pictures makes you want to break out and book a ticket. 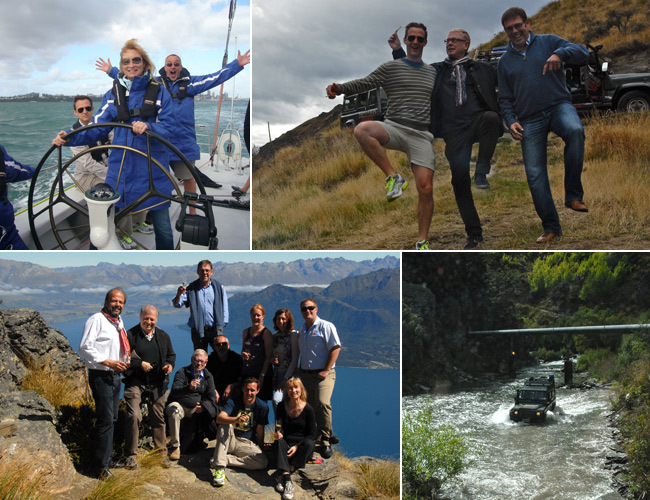 Click here for an adventurous discovery of New Zealand. We talked about how much we like Oman several times before. It’s the most hospitable, most authentic sultanate on the Arabian peninsula. Clean and vibrant cities (capital Muscat was recently pronounced 2nd “must visit city in the world” by Lonely Planet), fabulous hotels, 6 Unesco sites, ancient traditions kept alive, 3,000 of beaches and coastline, high mountains perfect for hikes and adventure and a vast desert waiting to be discovered: they have it all and they want you to know about it. That’s why on 25 May, several partners from Oman came to Hotel Le Meridien in Brussels (as part of a big European tour) to present their venues and destination to the Belgian press and MICE industry. The press conference was followed by a well attended workshop where everyone could have one on one contact with representatives from the different venues/organizations. An afternoon well spent! To learn more about Oman, please visit www.visitoman.be. Beauty has an address: Oman. BBT Online’s next Four Destinations Workshop for Incentive Agents on 25 June gives you four new and exciting destinations to discover: Canada – Rocky Mountaineer, Poland, Bruges and Croatia. The BBT Online team is expanding! As we noticed more and more that we tend to be more known among meeting planners than suppliers, we wanted to have someone to balance this inequality out. Genevieve Asselberghs was born and raised in Brussels but has French and Ukrainian roots. She worked in the hotel business for some years before being hired by a renowned Belgian hotel booking agency, where she quickly joined the sales department. Genevieve is married and has two sons and will work part-time. We are very excited with her addition to our team! Please say hello to her on our next workshop! Viviane Vogels of BBT Online sat down in front of the cameras at IMEX to talk to Eric Bakermans, Head of the Netherlands Board of Tourism & Convention. She quizzed him about the remarkable orange man on the Dutch stand: Mr Holland! BBT Online is the sole Benelux partner of this super MICE Information Highway and will, as of now, send out weekly news alerts for IMR to all its readers to keep them informed on the latest MICE news from around the globe. This means that BBT Online, besides its Take 5 newsletter, will also offer its readers an opportunity to see their Benelux news published in IMR and this way reaching a potential of over 500.000 readers worldwide! Stay ahead of the MICE news from around the globe, read IMR! 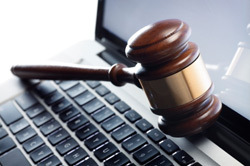 BBT Online will keep you informed. • Starting from 13 June, Cirque Du Soleil returns to Antwerp, with the biggest big top show they ever produced. It’s about a dead clown. Which doesn’t sound very funny to be frank, but as he is presenting his own funeral, the show mixes humor with humanity. • 21-22 June, Fiera di Rimini Exhibition Centre: BTC 2012 - www.btc.it. BTC is the only Italian tradeshow especially dedicated to the events industry. • 23 June, Hotel BLOOM! Brussels: The 8th edition of Art’n BLOOM! – made possible by the hotel’s Dare to Explore Foundation – showcases bed linen art created by the same artists who made the beautiful frescos in the hotel rooms. All profit goes to SOS Child Villages. • 29-30 September: SportUp’s ‘The Tour of Flanders: 240 km run’. In September, ‘Artsen zonder Grenzen’ organizes a run to support the organization. It will follow the course of the Tour of Flanders. Don’t worry, you don’t have to run the entire way (you couldn’t). Every 10 km you’ll find points were people start or stop running. www.240kmrun.be. • Why not take your colleagues to Antwerp, for the annual Antwerpen Proeft (Antwerp Tastes) festival from 16-19 August? Even better: attend “The Chefs”, one of the festival’s side events. It allows you to taste some of the dishes of Michelin starred chefs. For bookings or more info, contact jean-pierre@borealisdmc.com. 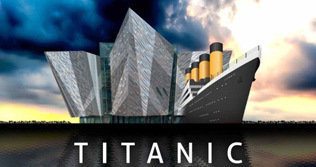 • On 1 July 2011, the Irish government reduced the VAT on tourism from 13,5% to 9%. Recently, they decided to keep this reduction in place, being an important boost for Irish tourism. The 9% VAT is here to stay. • More than 50 of AIM’s closest partners, suppliers and customers attended the AIM Brussels Office Open House to celebrate the new location of the AIM Belgium headquarters. • Euromic expands into the Middle East by adding a new World Affiliate in Dubai: Emeco DMC. The company, which has been operating under the name Al Abjar Tourism since 2003, has long been a leader within the tourism sector in the Emirates. • Every year on the last Wednesday of August, 40,000 people armed with 125,000kg of squishy tomatoes take the streets in the Spanish village of Bunol. Their goal: to throw them viciously into the face of their loved ones while taking part in the world’s biggest food fight. Contact Karen Jessen for more info karen@cititravel.es. • Levensgenieters.nl launches a new site for incentives. The company has been a specialist in organizing unique incentives in Holland, Europe and a couple of other destinations for several years now. 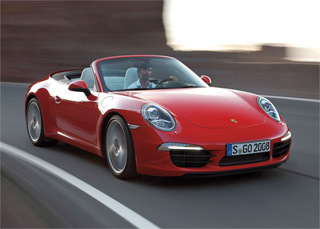 More info on www.yourincentive.nl. • Holiday Inn identified the worldwide trends influencing the travel industry in 2012. Every year 100 million people stay in Holiday Inn and Holiday Inn Express-hotels all over the world. Participants were asked what they saw as the most important factors of change concerning travel in 2012. Read the whole report here. • Looking for a warm place to organize a meeting next winter? Why not try Casa Rural El Olivar in sunny Andalusia, Belgian owned. Perfect for smaller meetings in an intimate atmosphere. Various possibilities for incentives can be provided à la carte. 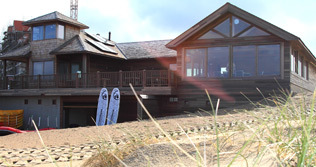 For more info, surf to www.casaruralelolivar.com or contact info@casaruralelolivar.com. • The splendid Warwick Barsey Hotel in Brussels now offers residential seminar formulas starting from € 179. For this sum you’ll get a room, a 3-course dinner, an American buffet breakfast and access to the fitness area. Click here for more info. • The Royal Windsor on Brussels’ Grand-Place offers residential seminars as well, for € 199. They even provide you with a conference butler to attend to your every need during the event. Click here for more info on the offer. • Hard Rock Hotel will open a new venue on Aruba in 2014. The 4-star resort will house 310 rooms and will concentrate on the ‘Y’-generation; young people in search of diverse experiences and adventures. • On the World’s 50 Best Restaurants Awards, Noma took the number one spot for the third time in a row. Hof van Cleve is still in the top 50, but dropped from 15th to 42th place. Oud Sluis dropped from 17th to 21th. De Librije in Zwolle rose 13 places from 46 to 33. Check out the entire list here: http://www.theworlds50best.com. • Visiting a brewery is always a good incentive idea. Especially when dinner is included. 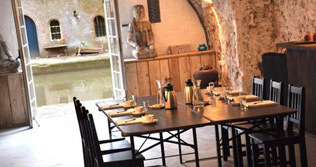 Brewery Gruut in the heart of Ghent offers various formulas for an interesting visit. Surf here for more info www.gruut.be. • Julien Duvivier of Hotel Amigo made Brussels’ best Black Russian cocktail during the Black Russian Cocktail Challenge in the Atomium. The winning recipe: 2cl coffee, 1cl apple pie-syrup, 1cl peach cream and 2cl vodka. Go nuts! • “Zalig aan Zee” (Lovely at Sea) offers two beautiful holiday homes for rent in Knokke-Heist. One can house about 10 people, the other 14. Check out their site: www.zaligaanzee.be. • According to the club sandwich index of www.hotels.com (yes, it exists) a club sandwich costs an average of € 25,13 in Paris. In a 5-star venue, you’ll even pay around € 40. A ridiculous price for sure, especially if you know that in Amsterdam you’d only pay a measly € 12,63. • Since May 15th, KLM Royal Dutch Airlines initiates direct scheduled service between Amsterdam and Kenneth Kaunda International Airport in Lusaka, Zambia. KLM will fly to Lusaka three times a week. It is the airliner’s 14th African destination. • Christine van Dalen is the new president of IDEA (Independent Dutch Event Association). • Hilton Worldwide announces that Marcus-Milan Arandelovic will become the new Area General Manager of Hilton Benelux. The Slovenian, speaking six languages, will become responsible for eight Hilton Worldwide hotels. • Fiona Marolt became Director of MICE Sales Benelux for the Rezidor Group. She is now responsible for all MICE Business in the Benelux. • Sylvain Rabuel was named General Manager for Club Med in France, Belgium and Switzerland. Anne Yannic, the previous GM, renounced her function to concentrate on other projects. • Dear Karin - as always a great newsletter, very inviting and informative. I really would like to congratulate you on the work that you do for the industry. • Laughing is good for you! This month’s Something Funny is not funny at all. Sorry. It’s very, very beautiful though. Please take a look at this mesmerising high definition video of Alberta, Canada. We’re ready to go. Are you? Click here, and enjoy.